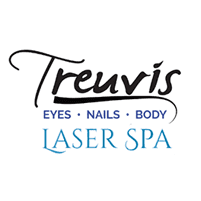 Treuvis Eyes Nails Body Laser Spa always appreciates feedback from our valued patients. To date, we’re thrilled to have collected 1 reviews with an average rating of 5 out of 5 stars. Please read what others are saying about Treuvis Eyes Nails Body Laser Spa below, and as always, we would love to collect your feedback. Shoni and Mandy did our mani’s and pedi’s and they were amazing! Just what we needed before our spring break trip. They were so pleasant to chat with and did such a great job with the pedicures. I will definitely be back!